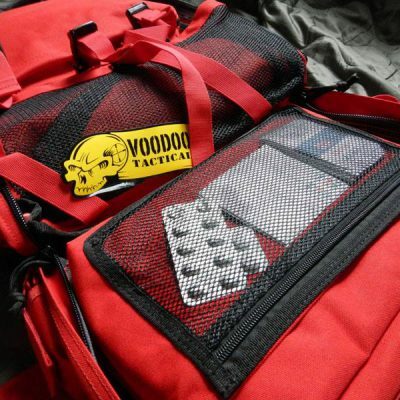 ACE Review // Voodoo Tactical "Field Medical Pack"
After conducting a lot of tactical training in different environments I needed a new Medic Backpack that could hold all my first aid and trauma care stuff. 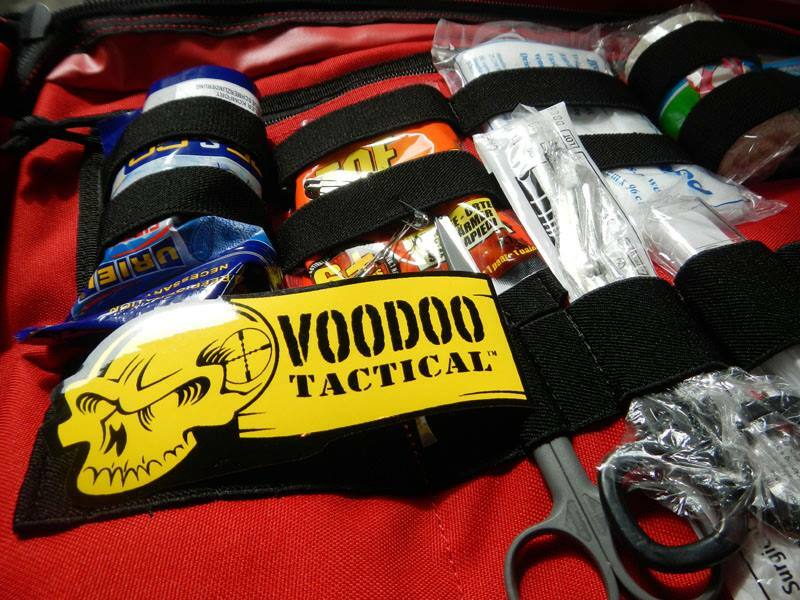 So I asked Voodoo Tactical Europe (www.voodootactical.eu) for their new Field Medical Pack. 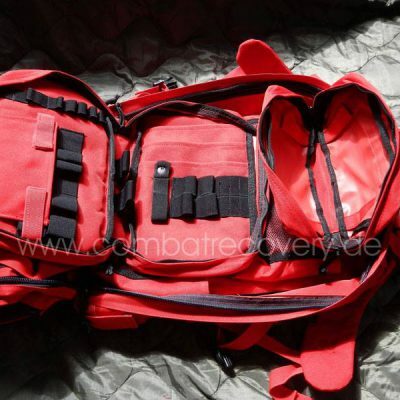 And as I wanted one that everybody recognizes as the medic pack under all those green and desert packs, I choose the one in red. 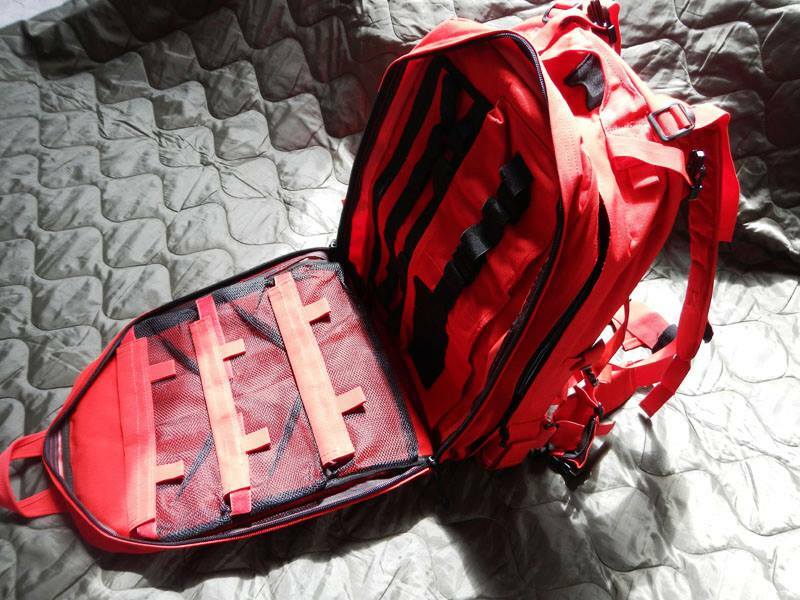 After 3 days the packarrived. 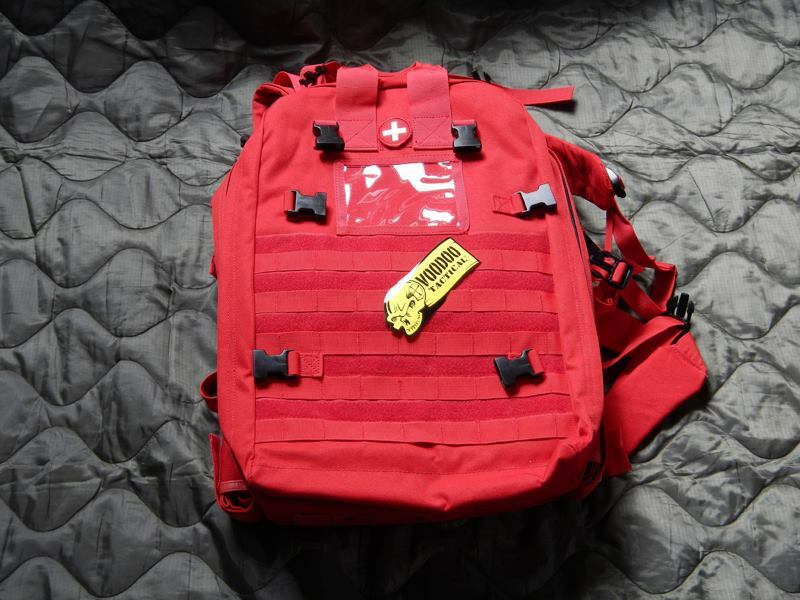 My first impression after opening the package was: “Is this thing big! 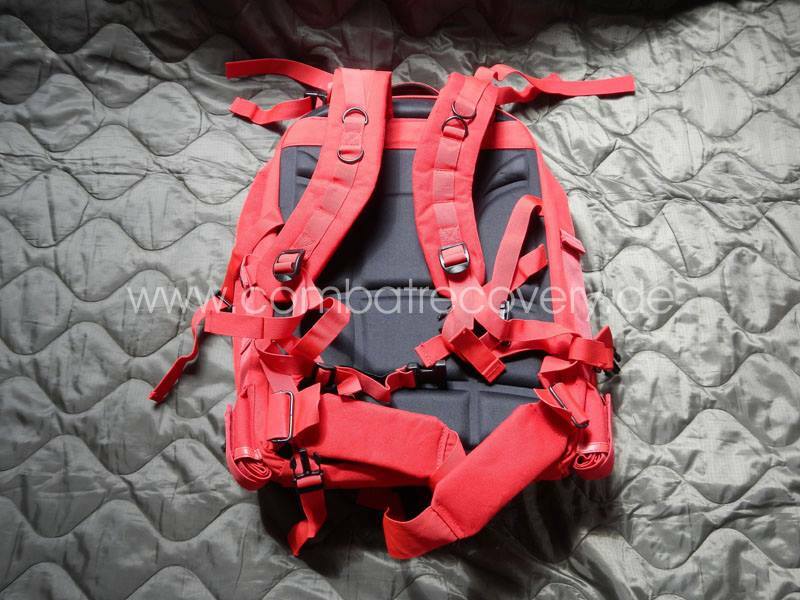 That’s exactly what I wanted.” The water resistant nylon cloth material is very sturdy and strong and the color is just great. 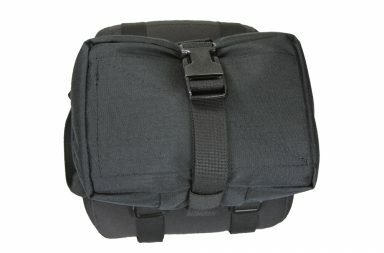 The size of the empty bag is about 53cm (h) x 33cm (w) x 25cm (d). 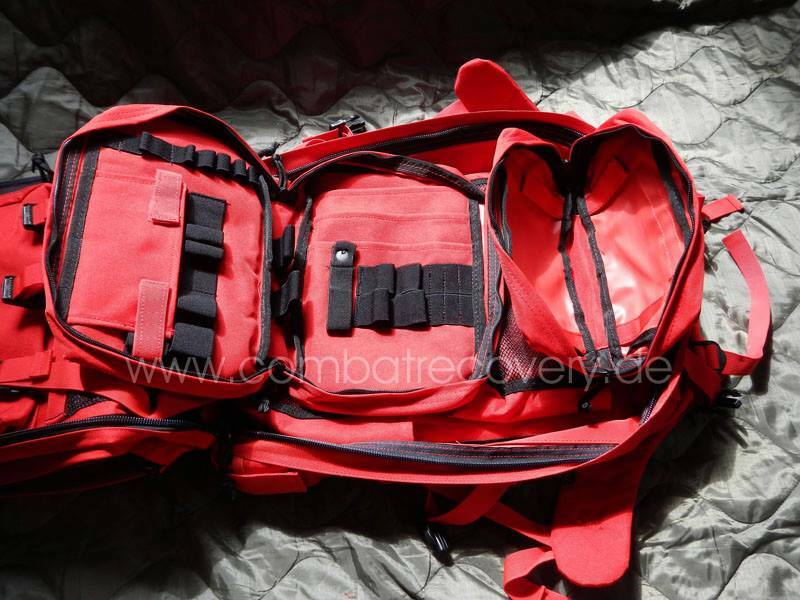 Two comfortable shoulder straps and a waist belt let you easily carry his pack. 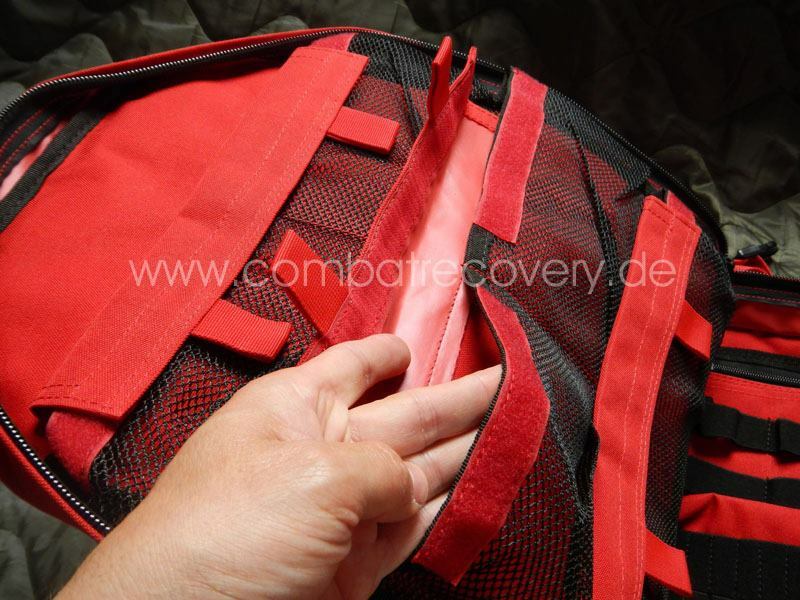 There are two load lifters an top of the shoulder straps to pull the weight closer to the body. 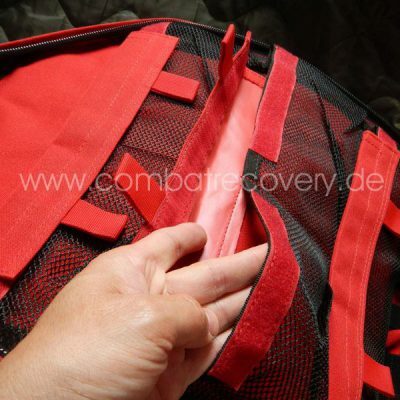 On the top are two strong carrying handles made of nylon. 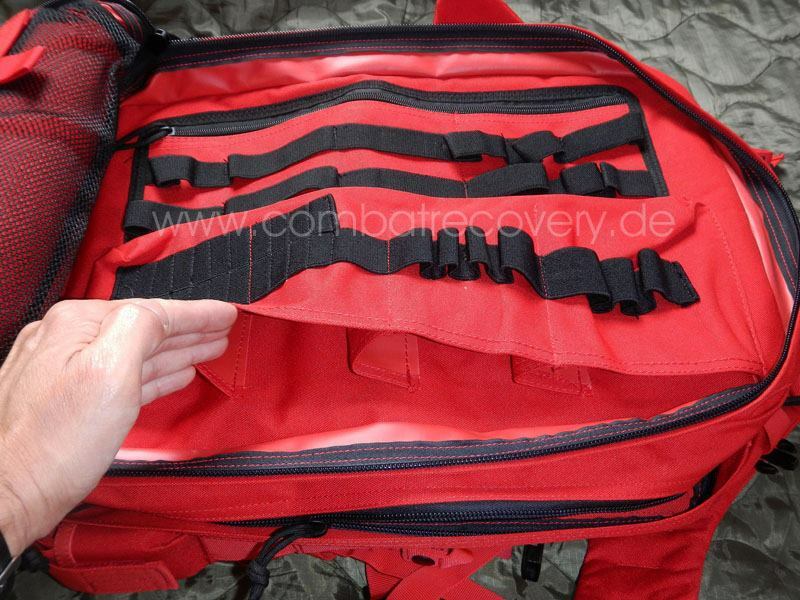 Six compression straps help to control the size. 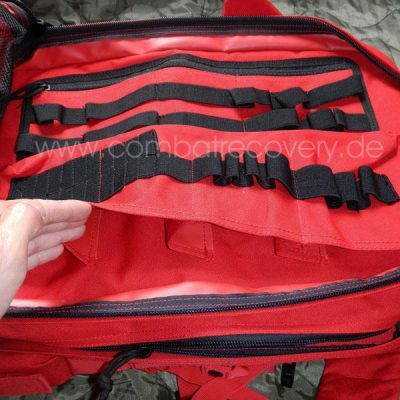 The front side features five rows of MOLLE Webbing with loop-side Velcro between the webbings. 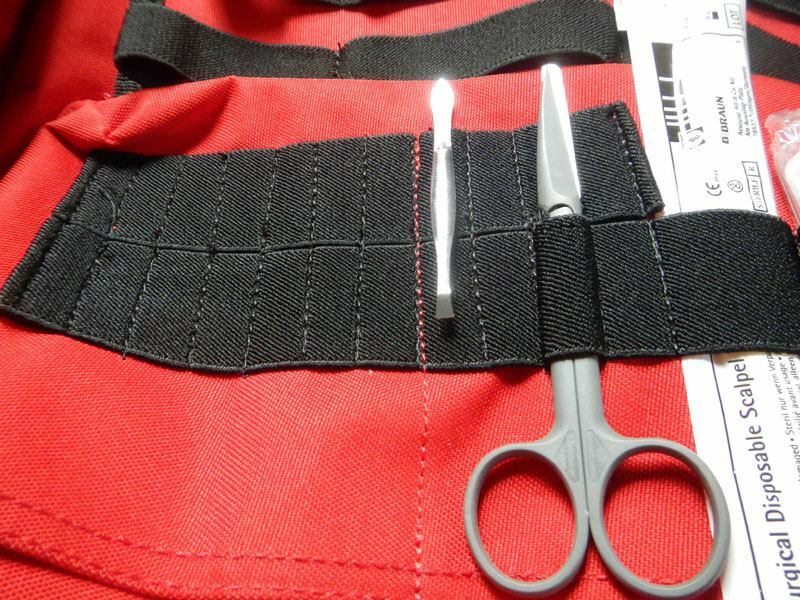 In the upper middle is a large ID window that allows you to mark you pack properly. 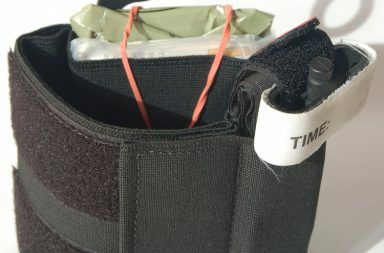 As I try not to charge a book by the cover I opened the pack and was amazed by the sheer number of pockets and elastic straps to neatly secure all you medical supplies. 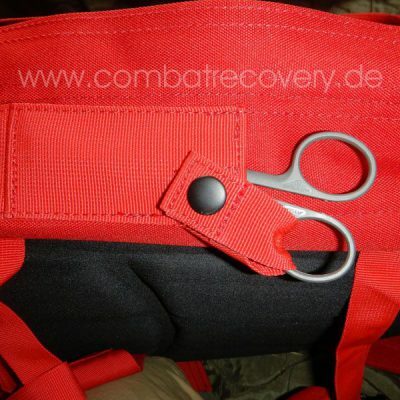 But let´s take one step after the other. 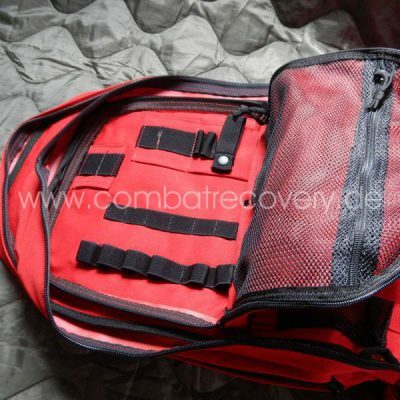 There are two main compartments. 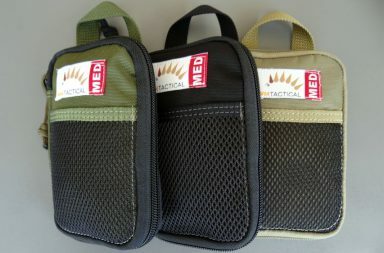 The one closer to your back has two removable zippered pouches and two zippered mesh pouches. 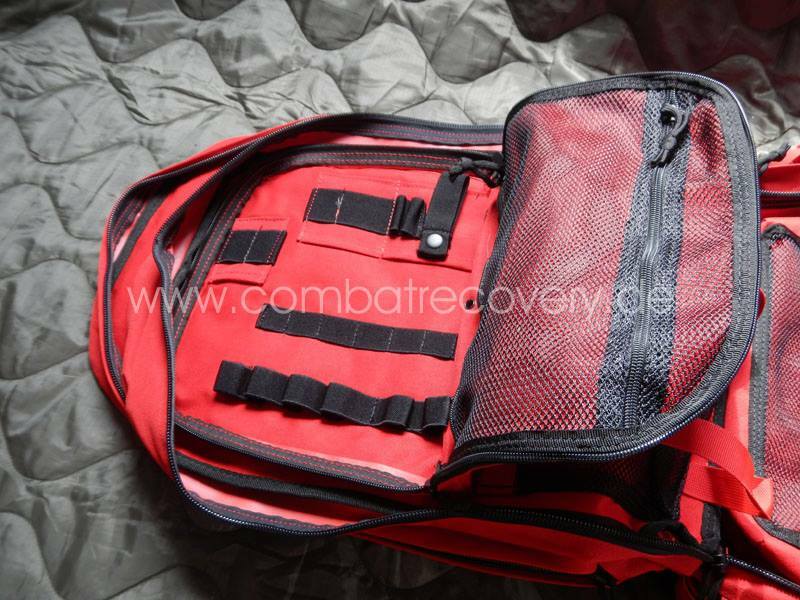 The compartment away from your back contains 5 mesh pouches with Velcro closures. 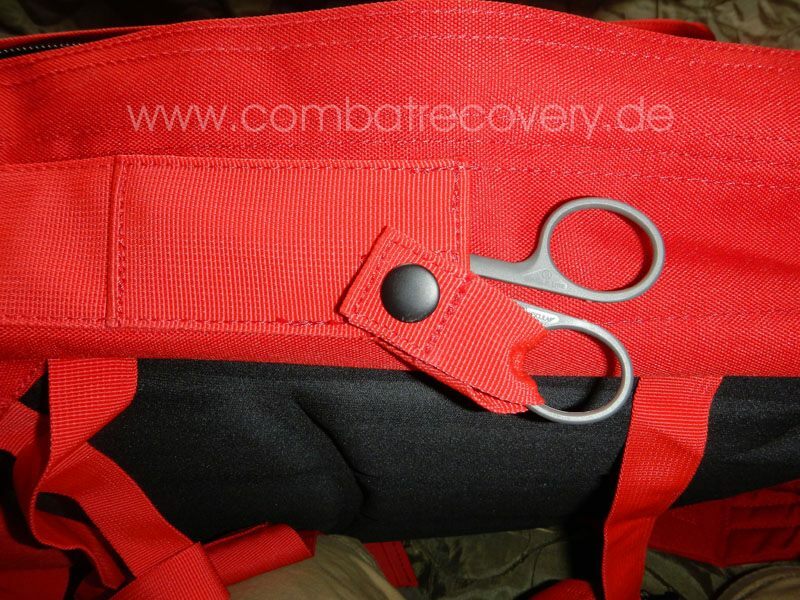 The divider between the two main compartments consists of an unbelievable number of pouches and elastic straps. 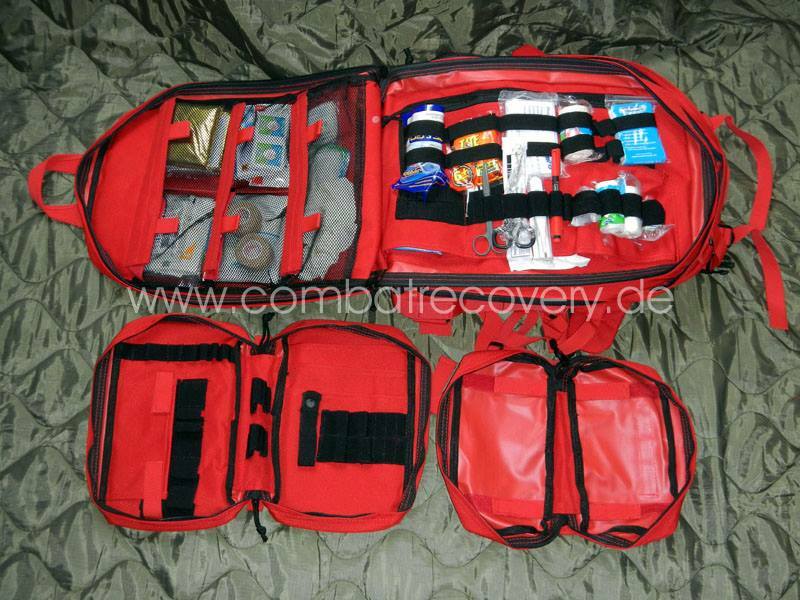 As a picture is worth a thousand words, please take a closer look on the pictures to get an idea of the possibilities of all those pouches. 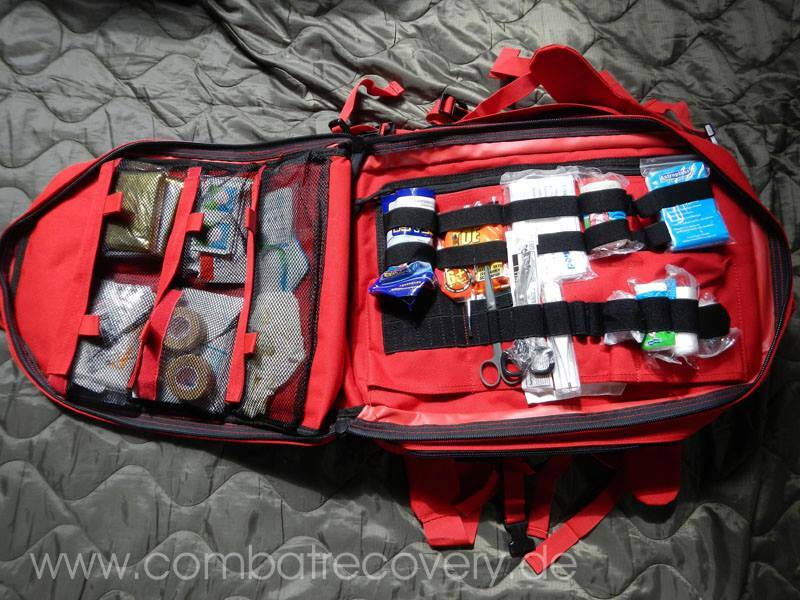 I´m not able to tell all things you can do with it as it´s your personal likes that determine what you pack in what pouch. 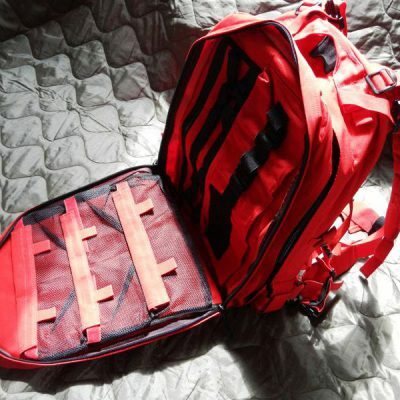 The absolute key feature is that the pack is able to open flat on the ground so you can work right from the bag without having to dig deep in a bag. 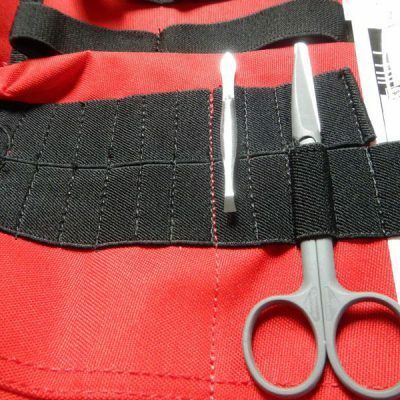 That makes the work faster and better. 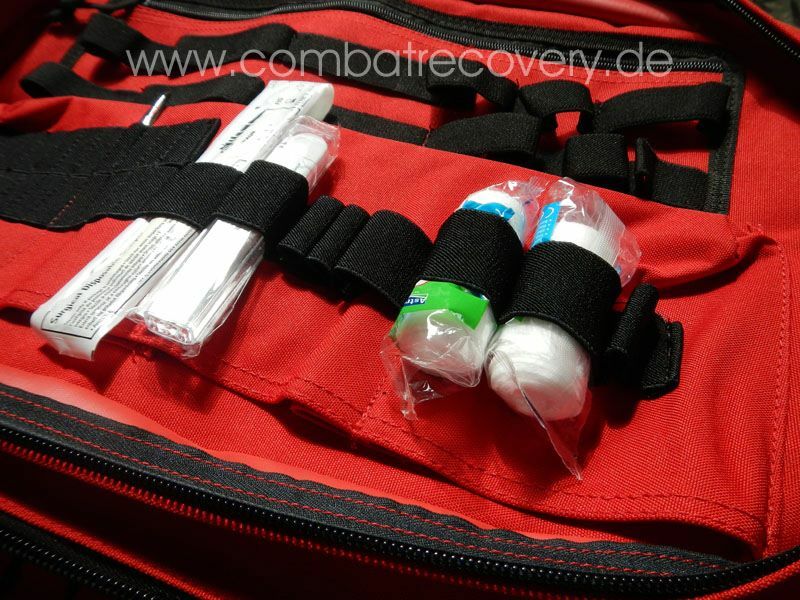 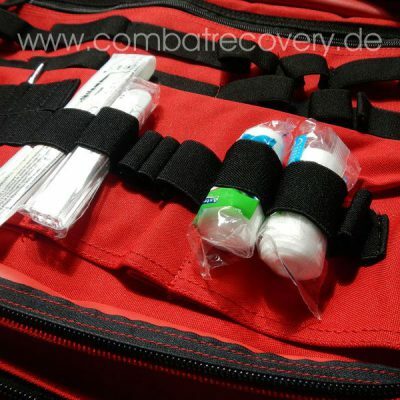 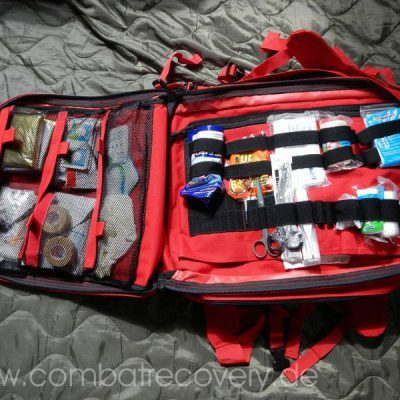 If you´re looking for a full scale medic pack that can hold all the things you need than it´s the Voodoo Tactical Medic Pack. 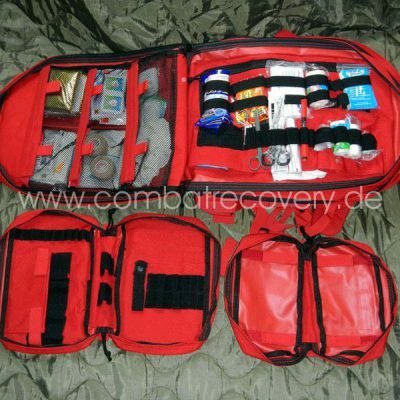 It is strong, comfortably to carry, versatile and it stores all your medical kit. 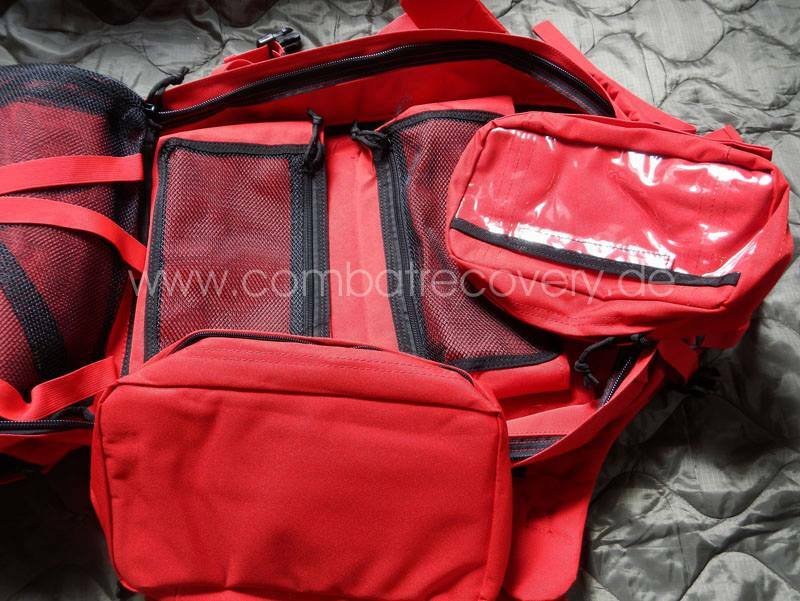 The pack comes in different colors. 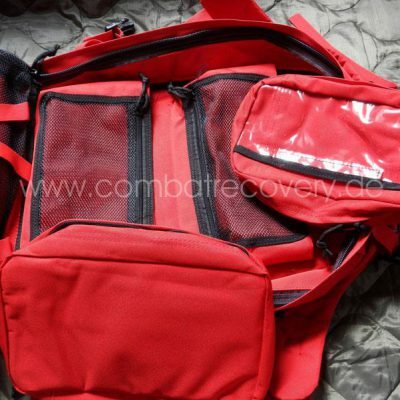 So you can choose the color you like. 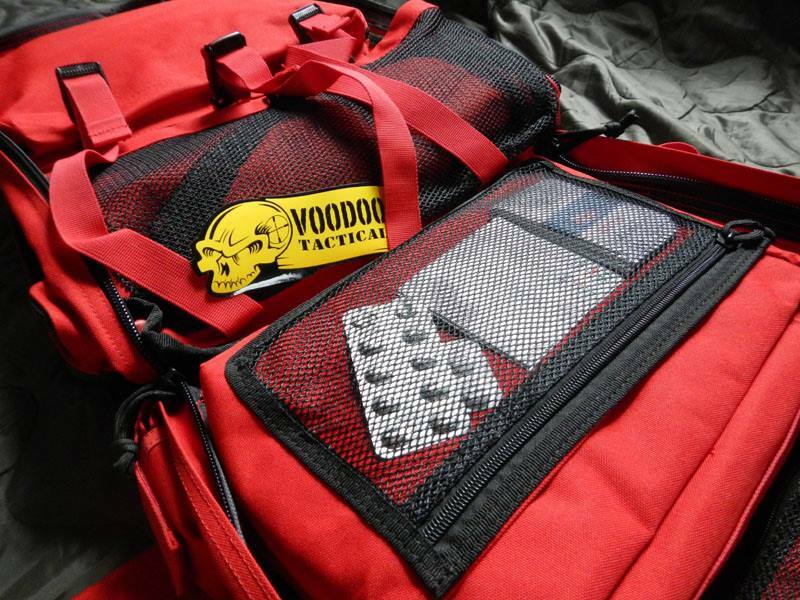 Thanks to Voodoo Tactical Europe for their support. 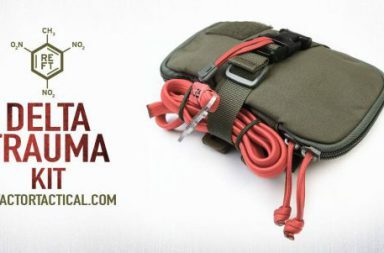 King Arms // M1 Carbine coming soon!